Properties in La Paz average 4.6 out of 5 stars. Penthouse Condo With Stunning Ocean And City Views. Three Bed, Three Bath. Property 4: Penthouse Condo With Stunning Ocean And City Views. Three Bed, Three Bath. Property 7: This is your home away from home. Fun in the sun!! Canadian prices!!! Property 8: 2 Blocks from the water, Bottom Floor Cozy 2 bedroom downstairs apartment. 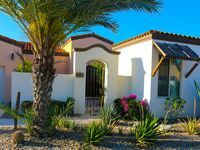 Safe, gated resort and spa 5 minutes to the heart of La Paz. Property 10: Safe, gated resort and spa 5 minutes to the heart of La Paz. Property 26: Cozy Casa by the Bay. Top floor 2 bedroom apartment. 'Casa Revolucion' 3BR La Paz House - Near Beach! Property 30: 'Casa Revolucion' 3BR La Paz House - Near Beach! 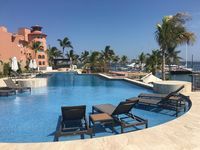 Super Hosts- Modern Condo mins away from Malecon, relax by pool during the day. Property 33: Super Hosts- Modern Condo mins away from Malecon, relax by pool during the day. Casita Tamarindo. Two Blocks From The Malecon! Property 37: Casita Tamarindo. Two Blocks From The Malecon! 2 bdrm house on the Beach! Property 45: 2 bdrm house on the Beach! Everything was as stated in the write up on VRBO. House was well equipped and clean. All staff was very accommodating and friendly. Had a super two week stay. Would definitely go back.